Location: Memorial Park, Mt. Rushmore Rd. 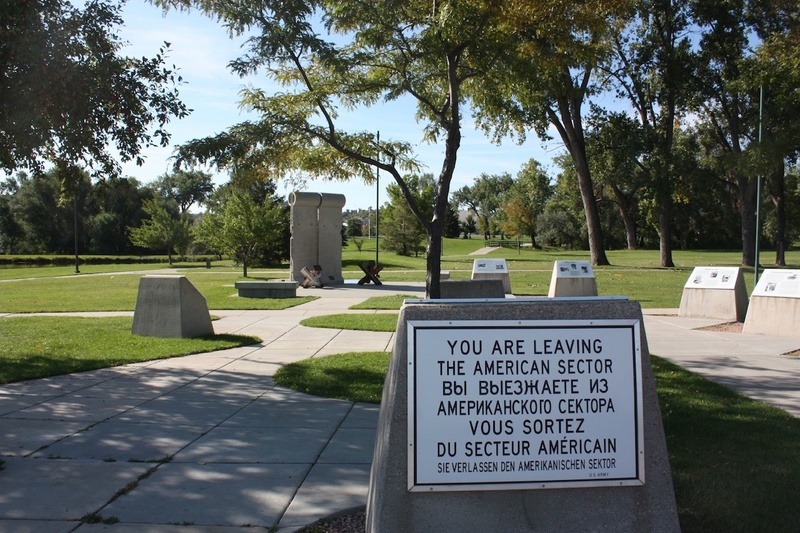 Not far from the Presidents, chiseled into the rock, in the center of Rapid City’s two Wall segments are standing along with two original tank traps since 1996. 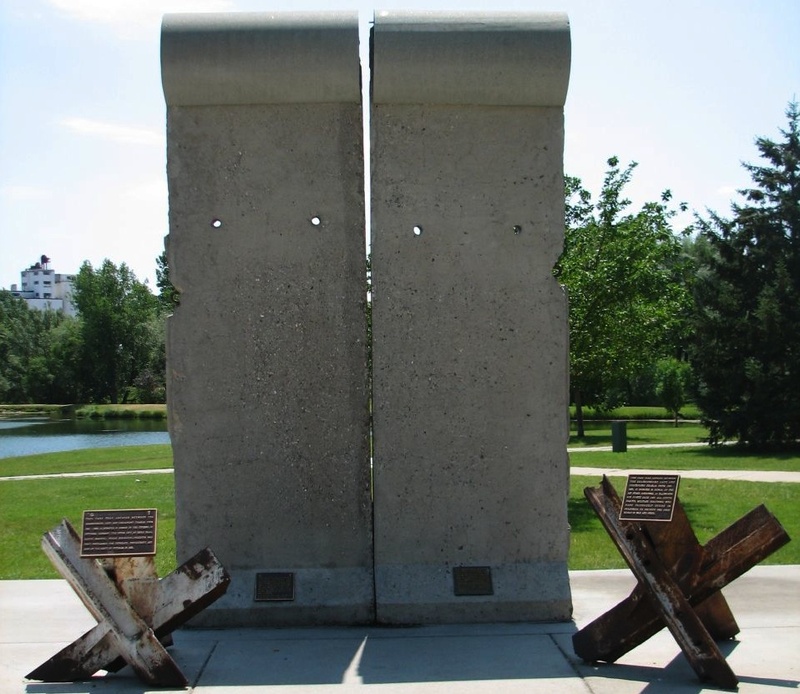 The Memorial Park/Berlin Wall Exhibit claims to be one of the biggest Wall Memorials in the U.S.
From the exhibit itself: The remnants of the Berlin Wall are a vivid reminder that vigilance must never give way to complacency where freedom is concerned. 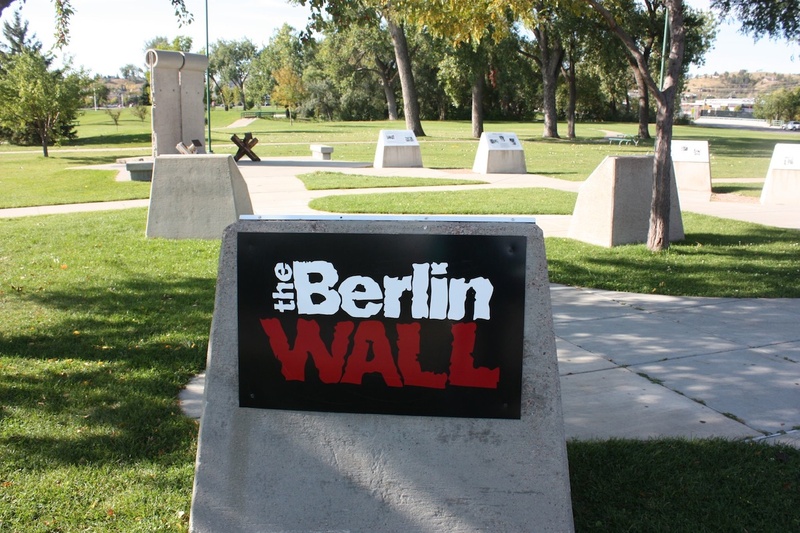 The Berlin Wall exhibit was given to Rapid City by generous citizens mindful of the price of freedom. It pays tribute to the thousands of military personnel who risked or lost their lives in the Cold War and to those who have faithfully stood in readiness to protect the free world in war and peace. One segment was a gift by the North Rhine-Westphalian twin town Ratingen. The other came from a military chaplain of the U.S. Air Force.